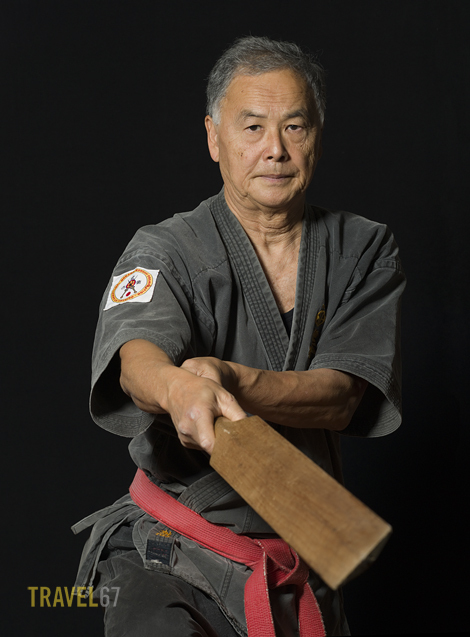 A great day last weekend shooting with Gojuryu karate 10th dan Tetsuhiro Hokama. 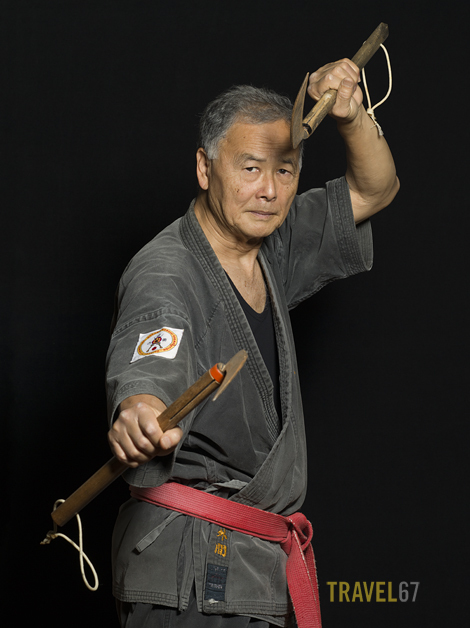 As is clear from the following photos the idea that karate is a weaponless martial art is clearly not accurate. 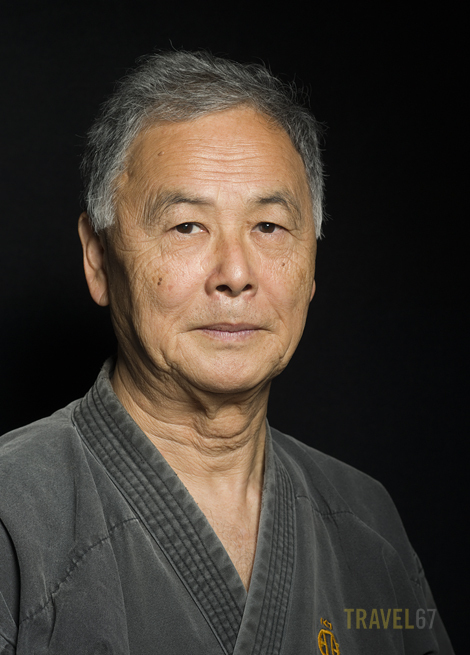 Although many practitioners state that karate means empty hand, the original meaning of the word was Chinese hand. 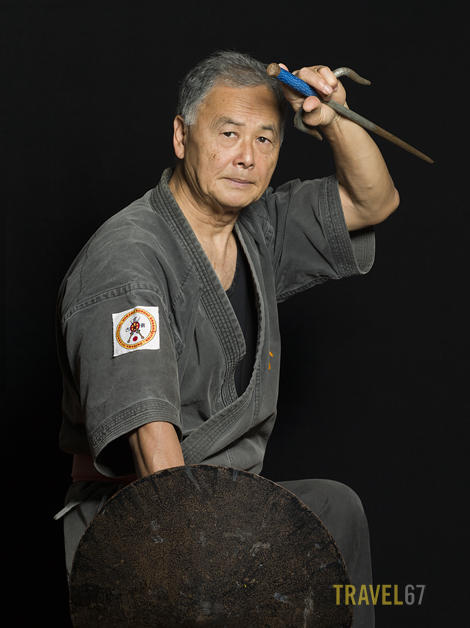 Improvised weapons, many from farming equipment, were very much part of karate. 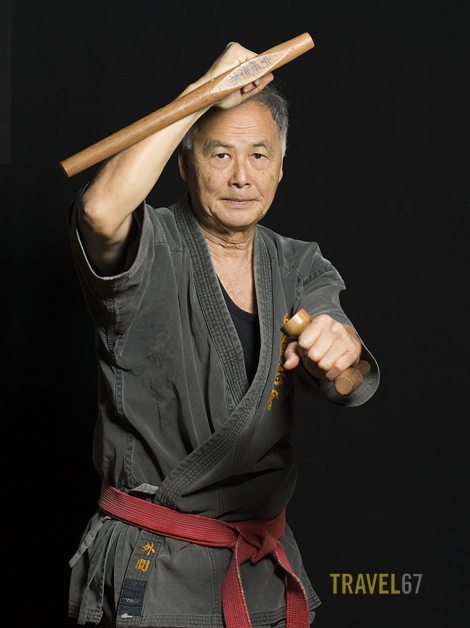 It might seem strange to see a karate master using duct tape covered nunchaku, but it’s also impressive that he’s using them so much he’s got to give them a little reinforcement. 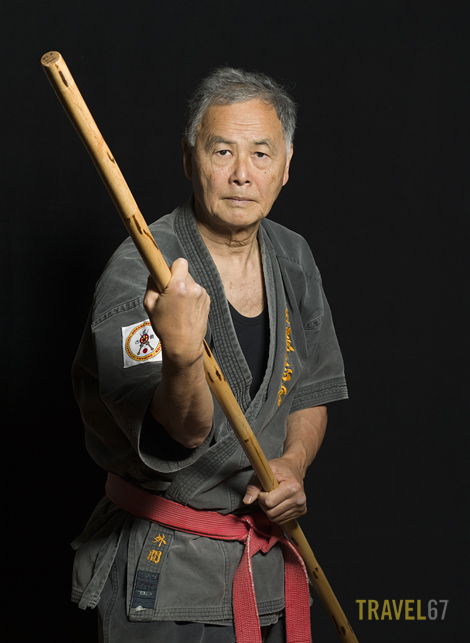 “Speak softly and carry a big stick; you will go far” Theodore Roosevelt, a big proponent of the rokushaku bo. 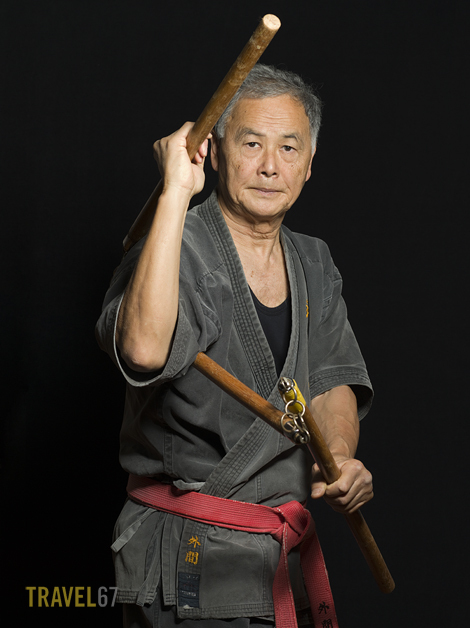 Tonfa now used by police forces across the world. Never start a fight at the Okinawan dragon boat races. 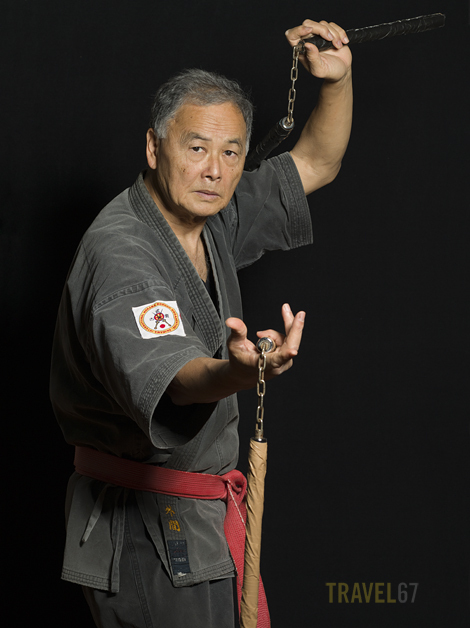 The Okinawan sai, as used by Raphael. Hopefully before you clicked on that link you weren’t thinking of this other Raphael. 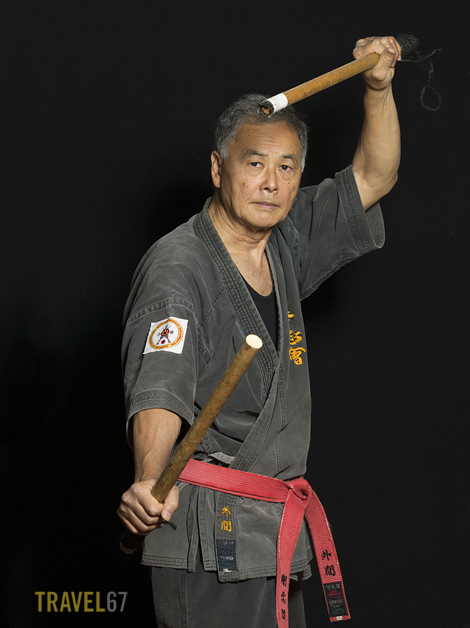 Hokama-sensei showed how the kama can be used between the opponents legs to end the fight very quickly. And if one big stick isn’t enough why not carry two or three. Great images again – I would definitely want this chap to be on my side. Love the photos and the project !!! Keep up the great work !! Hello sir, this is Oliver christoppher from INDIA, I would like to contact you regarding affilliation. Previous PostTrevor Williams Light Painting / Retro Portraits Workshops – 3 weeks to go.